There were drifts of clutter in every corner, like sticks and leaves in the edges and eddies of a stream. Half-finished craft activities. Library books that had become so overdue it would have been cheaper to buy them in the first place. I had to put that quote in this review because it could have been written by me. And people everywhere, let’s be honest. 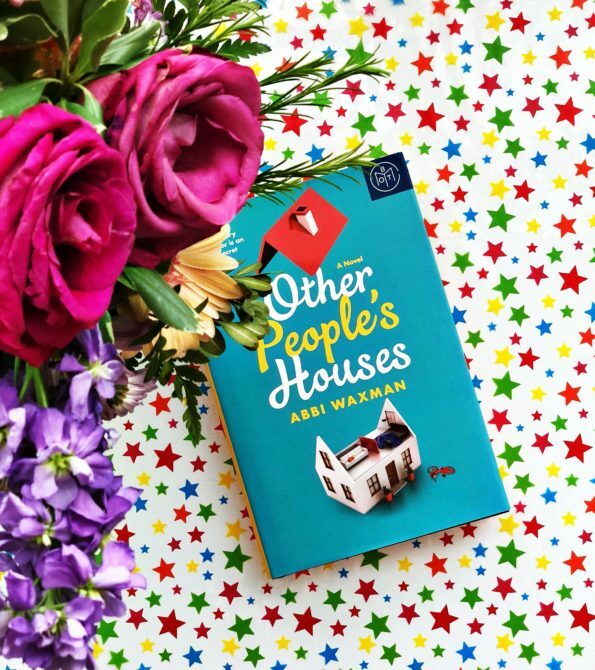 Other People’s Houses by Abbi Waxman is not only thought-provoking, it’s hilarious. I laughed out loud multiple times throughout this book, which is rare for me with books. Smile? Yes. Smirk? Yes. Actually laughing out loud? Rare. This book did it for me. If you’re looking for a gossipy, straightforward story about friends, neighbors, and family, I would definitely suggest this book. Frances Bloom is the ultimate mom. She runs the carpool, is a member of all the committees, knows whose projects are due on what days, and always has snacks. She is the most trusted woman on the block, and knows everyone’s secrets. When she walks in on a close friend making love to a man NOT her husband . . . on the kitchen floor . . . she has to decide whether to break the news to her husband or keep quiet. Her decisions, and the guilt her friend feels, will impact the entire neighborhood and make her question every moral she has. When I started reading this book, I wasn’t sure I was going to like it. Waxman uses a lot of curse words, which I don’t have a problem with, but a lot of them seemed just thrown in and not what the characters would actually say. I still think it’s excessive, but I can ignore that for what is so good about this book. The story is about neighbors and family and how well we really don’t know each other, but it’s really about relationships and marriage and what happens to those out in the real world. The book got under my skin very quickly: the author unapologetically gets right at the heart of marriage and parenting in a humorous way. I laughed out loud and cried while reading this book, and that is rare for me. She has taken serious situations (infidelity, lackluster marriage, a child running away) and turned them just a bit to show not only the serious side but the humorous side of life. Because isn’t life like that? There are terrible and hilarious things about a lot of situations, and this book will make you laugh at them all. Other People’s Houses gives a hilariously honest view of all different marital relationships, and if you’re married, with or without kids, I guarantee you’ll find something to relate to. It’s really a perfect summer read, and a wonderful option if you’re looking for something light that still has some literary heft to it. “Memphis, 1939. Twelve-year-old Rill Foss and her four younger siblings live a magical life aboard their family’s Mississippi River shantyboat. But when their father must rush their mother to the hospital one stormy night, Rill is left in charge–until strangers arrive in force. Wrenched from all that is familiar and thrown into a Tennessee Children’s Home Society orphanage, the Foss children are assured that they will soon be returned to their parents–but they quickly realize the dark truth. At the mercy of the facility’s cruel director, Rill fights to keep her sisters and brother together in a world of danger and uncertainty. I am so, so excited for this one. I’ve heard nothing but amazing things about both the story and the writing. If you want to join in, we’ll be reading it throughout the month of May, with a discussion on June 3 at 2PM CST on my Instagram page! 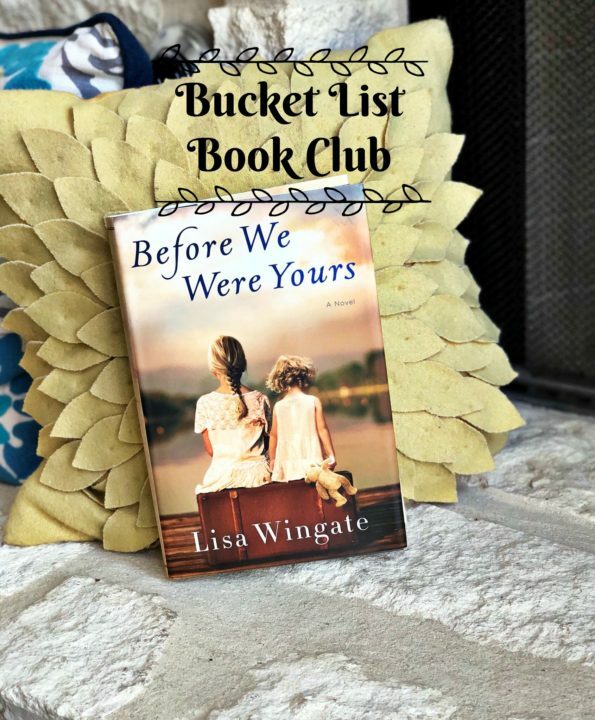 You can also follow the hashtag #bucketlistbookclub on Instagram to see other people’s posts as we read Before We Were Yours. I’ll post my review here when I’m finished, and you can also use the comments section on that post, and this one, to discuss it. Thank you to NetGalley and Algonquin Books for the free digital review copy of this book. All opinions are my own! Sometimes when you like where you end up, you don’t care how you got there. Sometimes when there is a lot of hype surrounding a book, I put off reading it because I’m afraid it won’t live up to what everyone is saying. 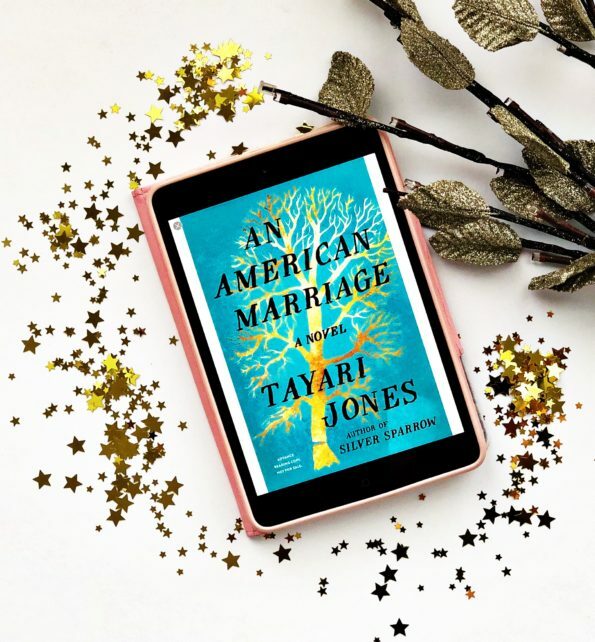 That’s what happened with An American Marriage by Tayari Jones. I put it off for awhile, and finally started listening to the audio version. And then I was mad at myself for waiting for so long to start it! I started with the audio (which is very, very good) and when my library hold on that ran out, I finished up reading the digital copy I had because I couldn’t stand to wait any longer to finish it. This book lives up to the hype and is truly an amazing book. Celestial and Roy are newlyweds, just starting out on their journey. They’re both figuring out what they want out of life and starting out their careers. When Roy is falsely accused of a crime, he is sentenced to 12 years in prison. Celestial and Roy’s relationship changes unequivocally as a result of their time apart. When Roy is released after five years, nothing is the same for either of them, and they have to figure out how to make a life out of what they have left. The book alternates chapters between Roy, Celestial, and their good friend Andre telling the story of what happens through those years. In my opinion, this is one of the best books written this year, although certainly not the most uplifting. And that’s ok. The relationship between Roy and Celestial is so very real, and Jones does not take lightly how people’s feelings for each other change over the years, especially during an exacerbating situation. The way they speak to each other, the way they interact with each other and each other’s families, and the way they behave as strong individuals rang so true to me, and I was heartbroken for the decisions they had to make. This story is about marriage, and what happens when you put a marriage through the ringer. As much as this is about marriage, I can’t fail to mention that it is also about race and justice in America. The story lends itself to an honest discussion about being black in America and what that means, and how biased the justice system truly is. I think it’s an important topic, and this book is a great starting point for some of those difficult discussions. An American Marriage lived up to the hype for me, and I’m so glad it did. I absolutely love books that really delve into personal relationships and how people react to hard situations. This book does that and more, and I guarantee it will make you wonder what you would do in the same situation if nothing else. This book is very reminiscent of One True Loves by Taylor Jenkins Reid (Check out my review of that book HERE. ), and I think they would make great companion reads. 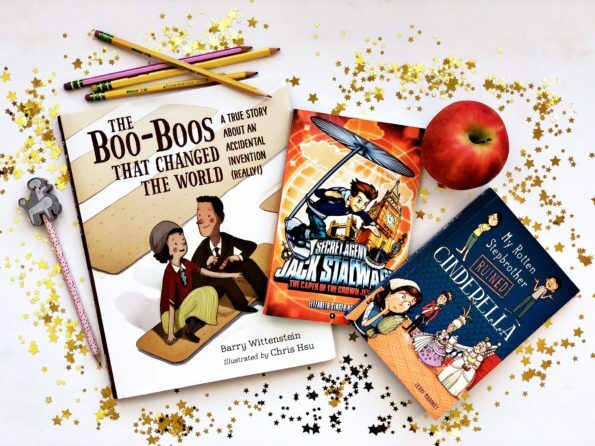 What My Kids Are Reading: Teacher Gift Edition! Well, it’s that time of year! Teacher Appreciation, end of year teacher gifts, and feeling extra grateful for how much our teachers have done throughout the year. One of our teacher appreciation gifts was to add to each teacher’s classroom library. Can you guess how excited I was about this??? I think this is a wonderful idea, and if you’re like me and try to give more practical gifts to teachers throughout the year, books are great. These are the books I gifted to my boys’ teachers, and I truly think they’re all great books. I love non-fiction books for kids that are actually interesting and fun, and this one is fantastic. Who knew the history of Band-Aids could be so interesting? Earle Dickson worked for Johnson & Johnson in the 1920s. His wife was extraordinarily clumsy, and he needed to come up with an easy way for his wife to cover her wounds while he was at work. Using supplies from his job, he created a rudimentary version of what we now know as Band-Aids. His boss thought it was a great idea, and dedicated Johnson & Johnson technology to improving it. This is a perfect book for elementary aged kids, and a great read-aloud for teachers! My 9-year-old picked this book out at Murder By the Book in Houston, and it is SUCH a great series!! Each book takes place in a different country, and the beginning of the book reads like a secret agent file about the case and includes history and interesting facts about the country. This is the third book in the series and takes place in London. Jack has to figure out who has stolen the Crown Jewels from the Tower of London, and even gets to meet the Queen. This is an easy chapter book, and while my 9-year-old reads these pretty quickly, he still loves them because they’re fun and adventurous. If you know your child’s teacher has a thing for the royals (Don’t we all?? ), this would be a great addition to his or her classroom library. This book might be my favorite of the bunch, and as soon as I finished reading it I ordered it for my son’s teacher. Seriously. (And I’ll be buying it and others in the series for other kids.) The Rotten Stepbrother series takes fairy tales and turns them on their heads, and I love it. In this one, Maddie’s stepbrother Holden ruins her report on her favorite fairy tale, Cinderella, and embarrasses her in class. That night, they are magically transported inside the fairy tale, where everything has gone wrong. The prince thinks he loves the evil stepsister, Cinderella is stuck cleaning her stepmother’s house (and gets thrown into the dungeons), and Maddie and Holden both become characters in the story. They have to fix everything so that Cinderella gets her happy ending, or the fairy tale might stay cracked forever. This book is funny, witty, and really well-written. There’s something for everyone, and I think girls AND boys would enjoy this one. If you’re like me and can’t get enough of the royals (and yes, I’m setting my alarm super early on May 19th . . . but I’m also setting my DVR in case I sleep through it), you’ve been trying to read everything in that genre possible lately. Ever since The Royal We , I’ve been looking for a book that gives me the same feelings and is in a similar vein. I finally think I’ve found it in Stephanie Kate Strohm’s Prince in Disguise . It’s funny, charming, and just quirky enough to separate it from other YA romance novels. Dylan is a Mississippi teen trying to live privately and quietly. Which is impossible to do when her big sister, Dusty, wins a reality show called Prince in Disguise and the entire family has to go to Scotland for the filming of the royal wedding. Dylan spends her days trying to hide from the cameras and keep some family secrets secret . . . and spend as much time as possible with Jamie, the cute groomsman who has an impressive knowledge of bookish quotes. If she’s not careful, the cameras will turn on Dylan and make her the center of attention. This book is just what my heart and mind needed. A sweet YA romance with a little royalty thrown in and quirky, believable characters. While the plot is predictable, it’s predictable in a completely satisfying way, and the characters are so well written that I cared about what happened to all of them. This is such a fun book, and if you’re wanting to get in the mood for the royal wedding on May 19th, this book is the perfect way to do it! 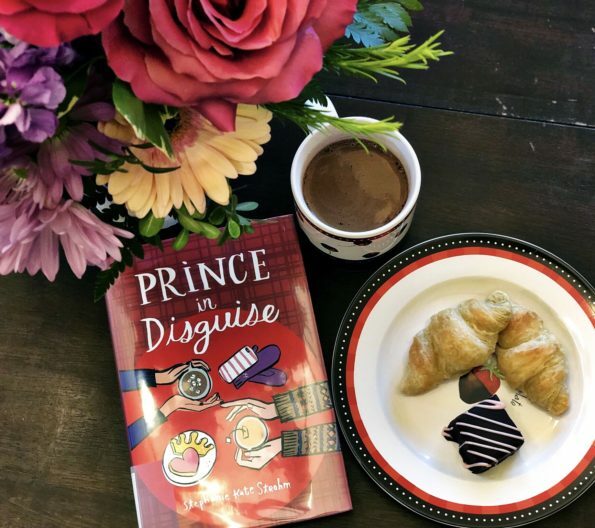 Prince in Disguise has everything-great characters, a ridiculous reality show, impossible situations, and a cute romance. I wouldn’t change a thing about any of it (except maybe to see more of Florence, the royal mother in law, who is a force not to be trifled with), and I was a little sad when the book ended because I wanted the story to continue. I absolutely loved this cute book! It’s a YA romance that I think appeals to all ages.